This article discusses the aspirations of two Estonian female lawyers – Auguste Susi-Tannebaum and Olli Olesk – to become a judge in the 1920s. 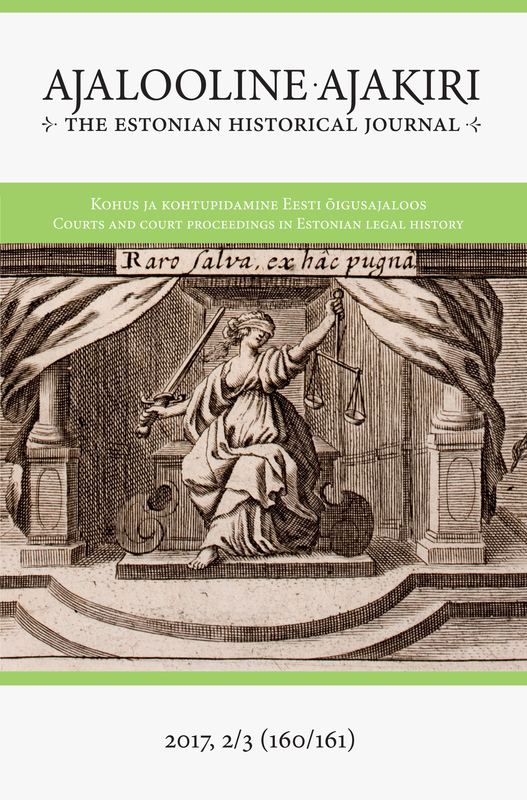 Estonian women were already allowed to study the field of law in the early years of the twentieth century. The possibilities for obtaining a law degree expanded with the foundation of the Republic of Estonia, when female students gained the right to enrol in the university on an equal footing with male students. Nevertheless, it turned out to be much harder to start working in their chosen field: before the Second World War, out of 143 women who had graduated from the Faculty of Law, only 42 were practising lawyers. The first female notary started working only in 1936. No female lawyer became a judge in Estonia before the Second World War, and the first female judges were appointed during the Soviet era in the period of 1940–41. Auguste Susi-Tannebaum and Olli Olesk had graduated from the Faculty of Law at the University of Tartu and were members of the Estonian Bar Association. However, the applications submitted by Susi-Tannebaum (1924) and Olesk (1929) for candidacy to join the judge’s profession were rejected. Both women contested the negative decisions in the Supreme Court. The Supreme Court was guided by the principle of gender equality and implicitly expressed its opinion that female lawyers who apply for a position as a judge cannot be excluded from the candidacy on the grounds of gender. Regardless of the Supreme Court’s opinion, it was possible to exclude women from the competition for judge’s positions on the basis of the law granting the chairman of the National Court of Appeal (Kohtupalat) the exclusive right to decide on the suitability of candidates without the obligation of justifying the decision. Thus, the cases of Susi-Tannebaum and Olesk indicate how female lawyers who wanted to become judges ended up in a vicious circle: first, the negative response from the National Court of Appeal was followed by the favourable opinion of the Supreme Court on gender equality. Thereafter the Court of Appeal was able to make a further negative (and legally correct) decision on the non-compliance of a candidate for “informal reasons”, without any additional explanation. As it was not obligatory to justify the negative decision, women were deprived of the opportunity to become judges in the 1920s and 1930s. In 1936, the position of the head of the Tartu Guardianship and Custodianship Court was given to Ljubov Hütsi, whom the general public considered the first female judge. However, the guardianship and custodianship court was an administrative institution rather than a genuine court of law. It was subject to judicial control and thus the person appointed as the head of such an institution by the Minister of Internal Affairs cannot be considered a judge. During the 1940s, repressions and the replacement of previous lawyers offered new employment opportunities for women. Regrettably, several women who were appointed judges from 1940 to 1941 had no higher education in law, and some of them did not even have any kind of legal education. In this period, having a legal education was not a priority, because loyalty to the Soviet regime and membership in the Communist Party were more important prerequisites.